A packed conference and workshop programme featuring some of the biggest names from the building and construction industry awaits delegates to the upcoming Sydney Build 2017. To be held this week on Thursday and Friday, 30-31 March 2017 at Hordern Pavilion, just 10 minutes from Sydney CBD, the event will have Lord Mayor Gordon Bradberry open on Day 1 with Angela Vithoulkas from City of Sydney opening on Day 2. 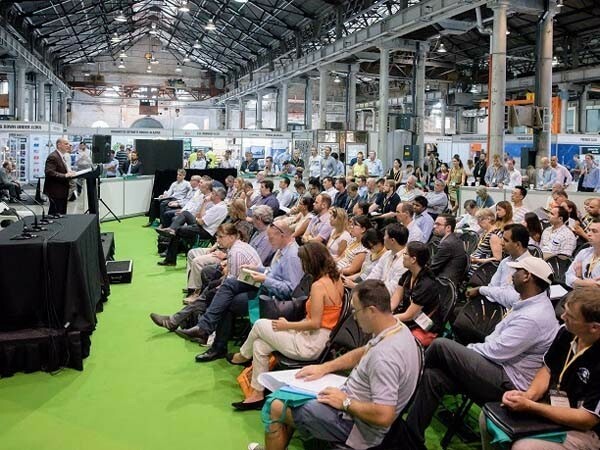 The Australian Sustainability Summit and Digital Construction & BIM Summit will feature a total of 60 high-level industry speakers, over 50 topics and presentations, and high-quality panel discussions. Participants in these summits can earn CPD Points accredited by MBANSW. The Sydney Build 2017 exhibition will host about 120 Australian and international exhibitors who will be showcasing a broad variety of construction solutions and services. The event also offers delegates several opportunities for networking. Some of the topics to be taken up for discussion at Sydney Build 2017 include: Barangaroo Ferry Hub; Passive House; Sydney Olympic Park Masterplan 2030; NSW Construction Outlook and Industry Trends; Potential of Digital Solutions; BIM; Sustainable Precast Concrete; Health Impact of Building Materials; Building Energy Efficiency, Safety and Aesthetics with Window Film; and Tiny Homes.